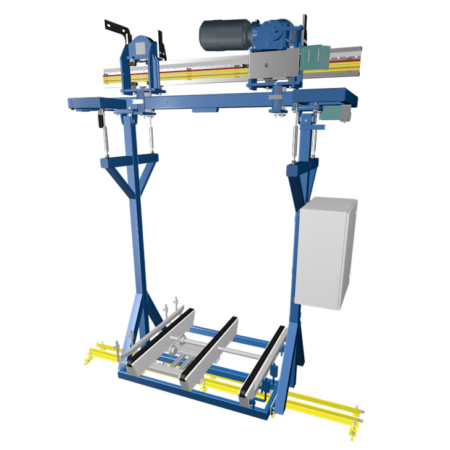 Electrified Monorail Systems (EMS) are floor-free conveying systems with running gears that are equipped with a single motor drive. In a fixed rail system, which can be extended with turnouts as well as lifting and lowering stations, various positions can be approached. Modern control systems solve most complex processes. 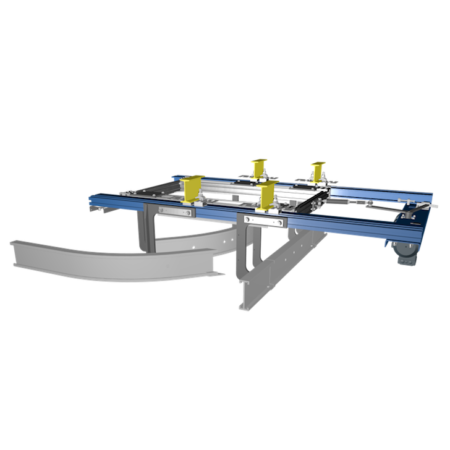 Tactical operation for assembly, branching, loading and unloading, sorting, stacking, buffering and other tasks can be realized with this control. 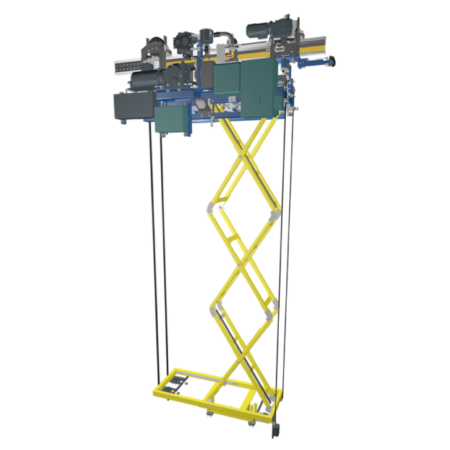 Depending on customer requirements or circumstances, the rail system can be suspended from the hall ceiling or directly installed on the concrete floor using steel gantries. The single powered vehicles generally consist of an engine driving and running gear which are connected via a traverse. The load handling device is attached to the traverse and the control gear and current collector are located at the engine driving gear on a swing-out plate. This allows for the entire unit to be easily replaced. All electrical pins on our carriages are plugged and the drive circuit and distance sensor are configured specifically for each system. 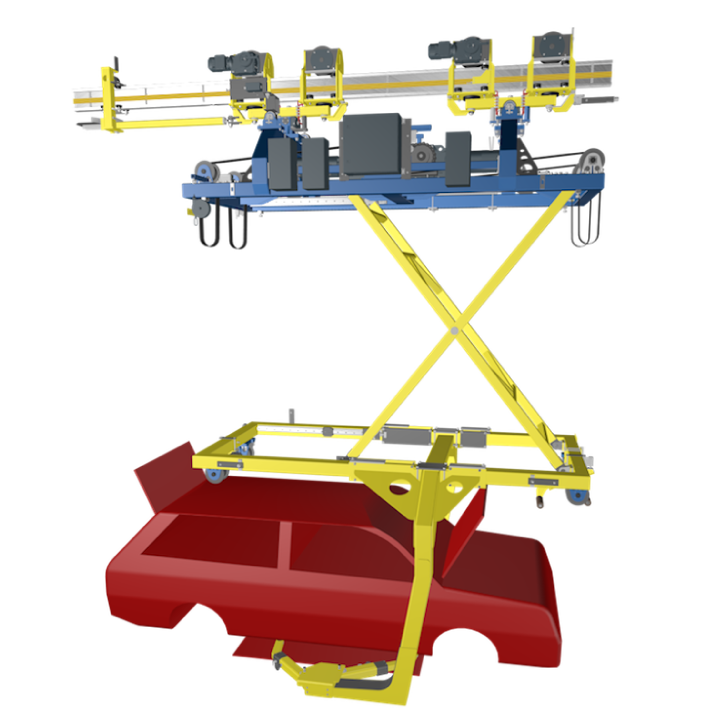 In order to meet the various freight and speed demands of our customers, we deploy three different rail systems. 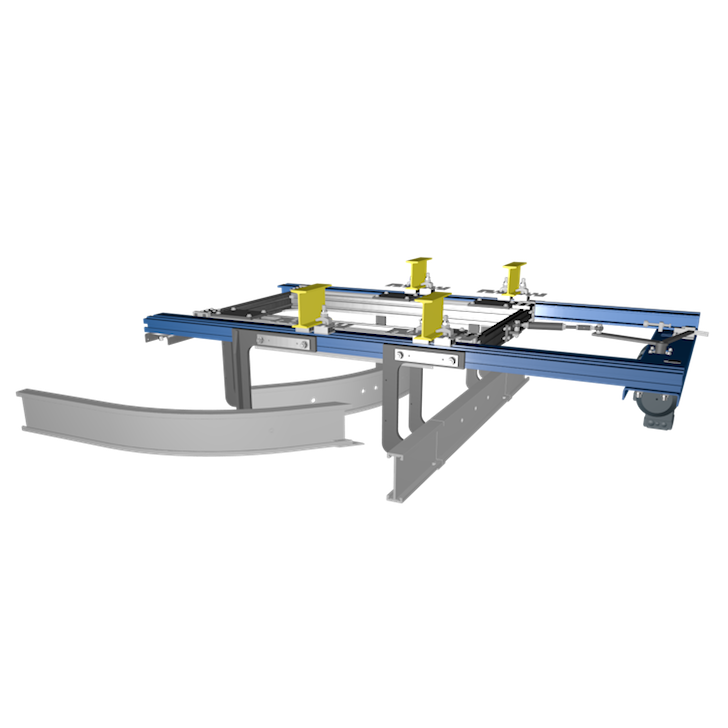 In addition, we have developed a fourth track specifically for the requirements of our logistics sector customers. This fourth track works to intercept the torques, which are especially large in this industry. 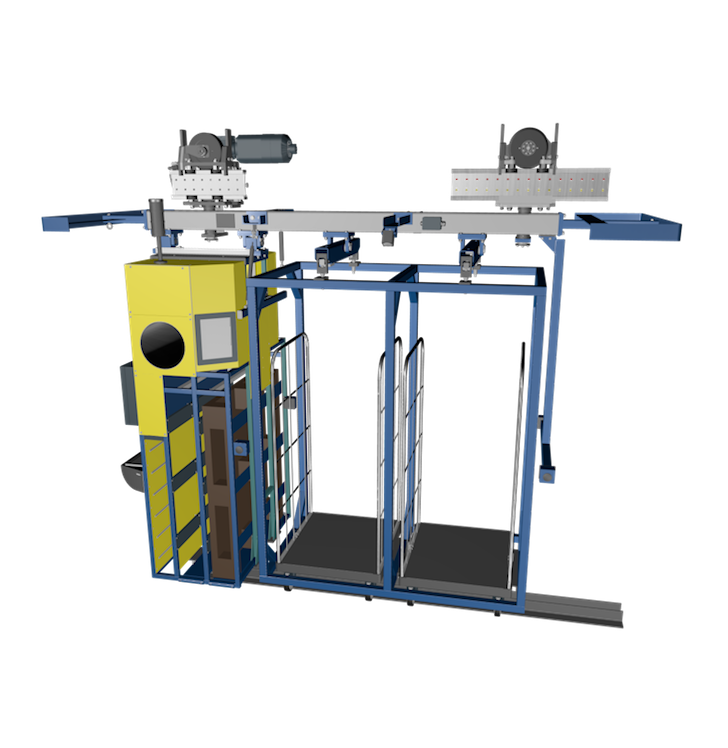 Our EMS vehicles are individually customized and project-specific. Due to higher load requirements and heavier load carriers (often pallets), a specialized rail was developed for the logistics industry, which is designed for larger torque.